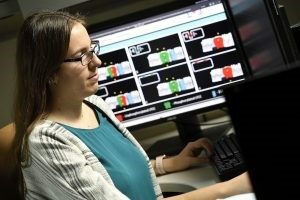 A wide variety of research training opportunities leading to a PhD degree exist for students interested in the Institute for Computational Medicine’s four research areas: Computational Anatomy, Computational Molecular Medicine, Computational Physiological Medicine, and Computational Healthcare. Be accepted into a degree-granting department or program within Johns Hopkins University in which ICM core faculty are members such as Biomedical Engineering, Computer Science, Mechanical Engineering, Applied Math and Statistics, and Electrical and Computer Engineering. Select as a mentor an ICM core faculty member with training privileges in their home department/program. The mentor will work with an advisor in the home department to assure that course selections meet requirements of the home department and provide necessary training in the students chosen area of Computational Medicine. Students who apply to the PhD programs in the Departments of Biomedical Engineering and Applied Math and Statistics are also eligible for the ICM’s Pre-Doctoral Training Program in Computational Medicine.